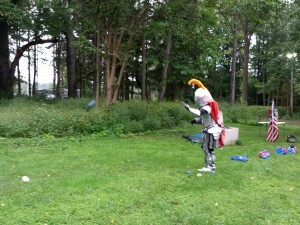 The Syracuse Silver Knight loves bocce ball, and we love soccer! When the Syracuse Silver Knights mascot appeared at our championship to officially announce a Turbo Bocce/Silver Knights bocce tournament, it was an exciting moment for us and the product of a lot of behind the scenes work. We will actually be putting on two big tournaments. 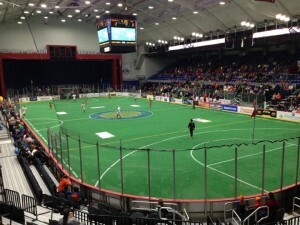 Both indoors on turf. The first will take place on Saturday October 18 at the CNY Family Sports Center – 7201 Jones Rd, Syracuse, NY 13209. Sign in will be at 9am, and the tournament will begin promptly at 10am. $40 per team entry fee. 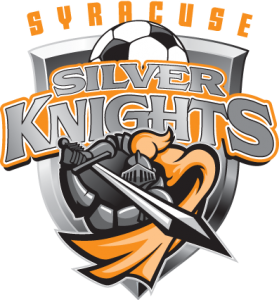 Entry into the tournament gets you a ticket to the Syracuse Silver Knight’s home opener, as well as a chance to win cash and prizes. There will be food and drinks available at the tournament, and a movie screen playing football all day long. You have to go undefeated to win the championship, but every team is guaranteed at least two games. 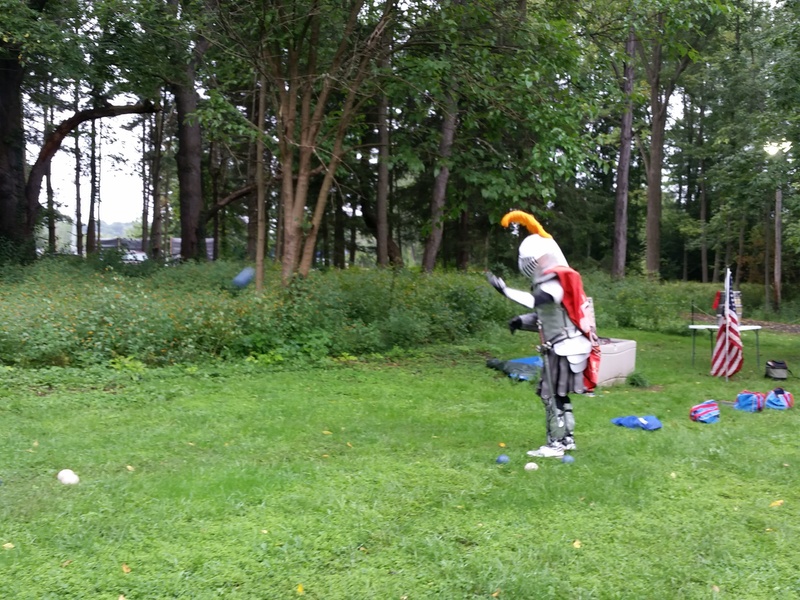 You don’t need to have any bocce experience to play. Everyone is welcome to give it a try, and its fun for anybody of any age! This tournament will be the warm up for a bigger one that we anticipate being the biggest bocce tournament in Syracuse history! This tournament will take place on Saturday December 13th, and be held at the Syracuse War Memorial – 515 Montgomery St, Syracuse, NY 13202. Yep, you get to play HERE. On the same turf as the pros! Like the first tournament we will have teams of 2. A $40 per team entry fee. Cash and prizes awarded to the participants. Sign in will be at 9am and the tournament will begin promptly at 10am. But this time, following your game under the big lights of the war memorial you are invited to stay and watch Syracuse’s professional soccer team, the Silver Knights, take on their arch rivals the Rochester Lancers. As an extra bonus YOU will be honored at half time of the soccer game for participating in the biggest bocce tournament in Syracuse history! 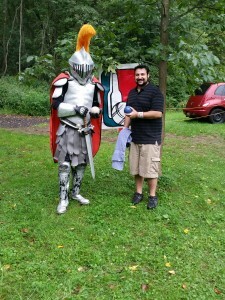 Contact Paul Colabufo – paul@turbobocce.com – with any questions you may have.